You can choose from Ngnix or Apache. 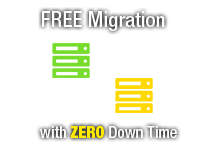 Software load balancer at free of cost (on demand). Real-time of PHP or Mysql Injection Scan. Isolating spammers and SPAM protection. 10 times of faster Varnish Cache server. Malware Injection Scan at Real-time. Multiple PHP and MySql Version. 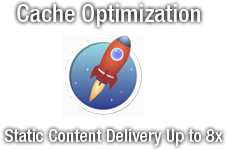 MySql cache optimization, MySql Query optimization and much more. Supports PHP5 and the latest version. 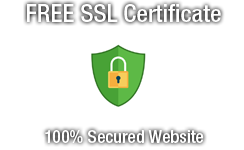 Free SSL Certificate along with our VPS packages. VPS plan comes with Root SSH Access. Canned scripts of CGI (Common Gateway Interface). Backup and Restore included at free of cost. One click installation of software like Drupal, Joomla, NodeJS, PHP Framework, etc. We tend to offer Hyper-V VPS hosting, KVM VPS hosting, and VMware based VPS hosting. Easy to scale resources and pricing. All the Virtual Machines are Web-Optimized. Virtual Machines Optimized with MySQL. Easy to access Raw Log Files. Each VPS packages comes with Ruby On Rails. Control Panel is of web-based. 44% to 55% off on all VPS hosting packages. Start/stop your nodejs application with complete graphical user interfaces. Future of Node Js is bright because we have lot of reasons behind it i.e A New Entrants to Node.js such as Netflix and others show that there is big growth happening in this area at present, because of its stupendous support to microservices architecture. Often this support allows lean user-specific software development. -Easy writing codes with less involvement of risks. -Fast paced and often concurrent A/B testing. -It is equipped to scale up as the customer base grows. 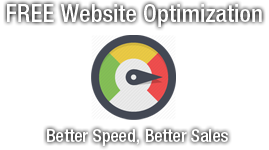 -Reduce Page Load Times by up to 50%.